Tonight we wanted something new. Not the same burrito run to El Nutri, or a quick bowl at the B&B. 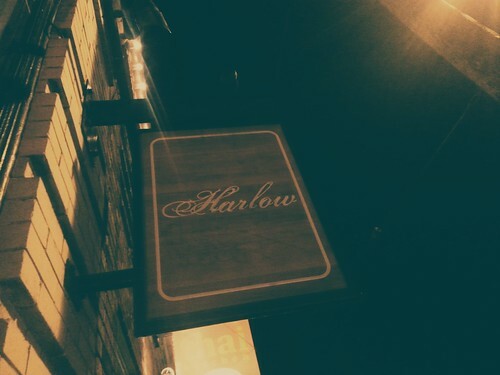 Melanie rolled the random dice on Yelp and we pointed the car at Harlow on SE Hawthorne. The bright, spacious area was warm and somewhat cozy. Walking in, I was surprised with the bright, slightly sterile atmosphere. 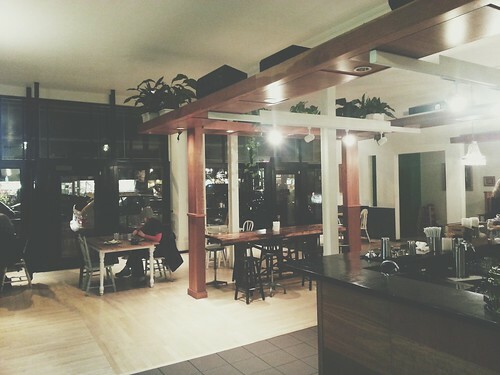 The heavy influence of wood and twang of vintage in the space’s design plays well with the open, bright layout. 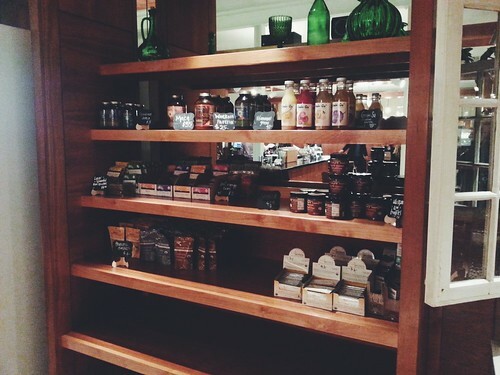 They have a nice section of vegan odds and ends, and some branded clothing on one side of the restaurant. The small retail section of Harlow. 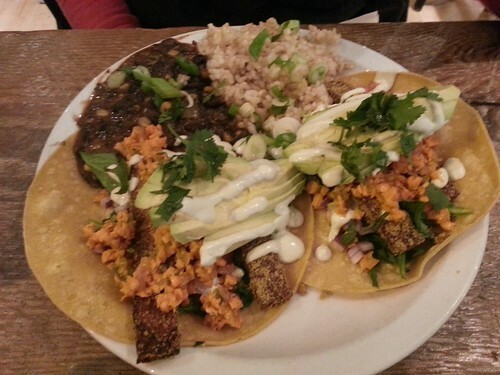 Melanie ordered from the specials – two tacos with tempeh, yams, avo, pico de gallo, and jalapeño cashew creme. It arrived with a side of rice and a side of black beans. She also ordered a tea. 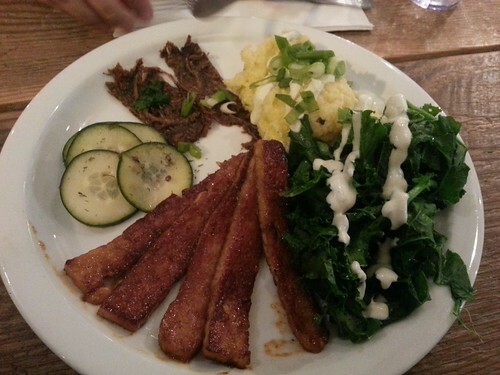 I ordered from the menu, and went with the BBQ Tempeh Plate – figuring in a new spot, you really can’t mess up Tempeh. Melanie’s food arrived and the presentation was awesome. The whole plate was a combination of tacos, beans, rice and fixins. Sadly, my plate left a lot to be desired. I had six slices of tempeh, some pickled cukes, a pile o’ polenta, some weird fried together slab of onions, and a pile o’greens. The tempeh was pretty good, but not too far from something I could pan fry at home. There was also not much “BBQ-ness” to the plate. My plate, leaving some room for improvement? The tempeh was the best part of my dinner. The polenta was deece, but everything else was borderline not good. The onion things (those “used-to-be-primal-strips” looking things on my plate) and pickled cukes stayed behind for the compost (full disclosure: I hate pickles). Once we finished our dinner, we headed out for the long drive home. While we may give Harlow another chance, I will not get the BBQ plate again.